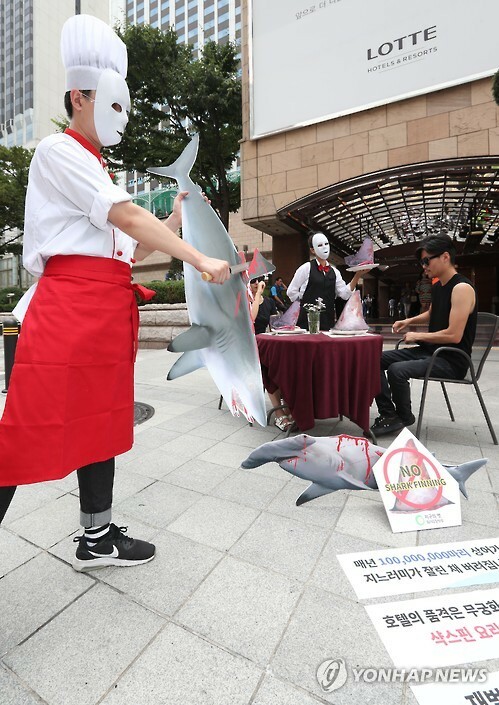 SEOUL, Aug. 25 (Korea Bizwire) – The Korea Federation for Environmental Movements (KFEM) organized a public performance Thursday in front of Lotte Hotel in Myeongdong, central Seoul, calling for a ban on shark fin consumption in Korea. 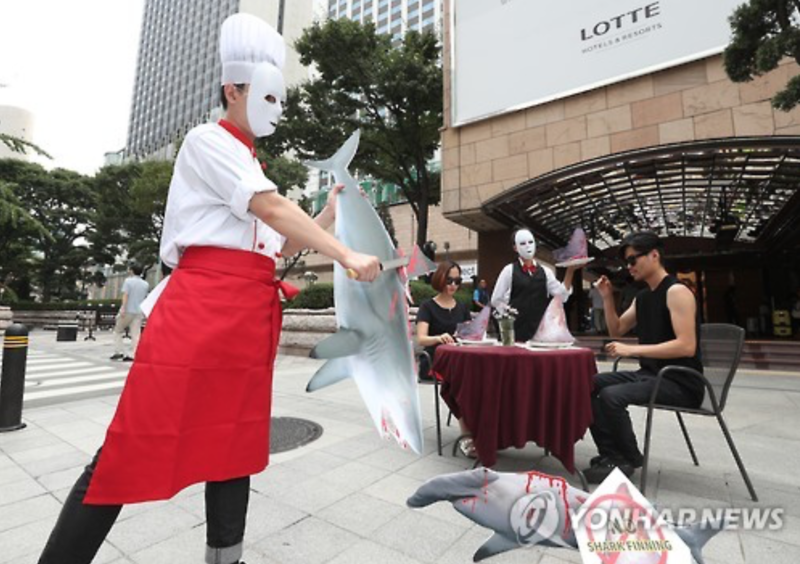 According to the federation, 12 of 26 surveyed top-rated hotels (five-star equivalent) still serve shark fin dishes at their restaurants, two of which were Lotte Hotels. Other big-name hotels including InterContinental Hotel Seoul, The Shilla Seoul and Sheraton Grande Walkerhill Hotel were also among the 12. Shark finning has received widespread criticism as a barbaric process, with poachers hacking off the fins and throwing the living shark back into the ocean. The discarded sharks usually face a slow death from starvation or drowning, and many sink helplessly to the bottom of the ocean where they’re eaten alive by other fish. 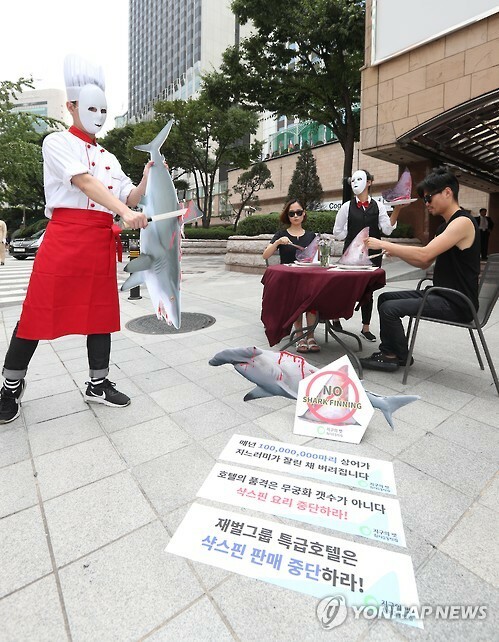 “We hope that the concerned hotels will remove shark fin from their menus, and join our efforts to protect sharks, which are an endangered species,” said the KFEM.